This glengarry badge worn by other ranks has the Prince of Wales's feathers with coronet at the top. This title was granted in 1876. 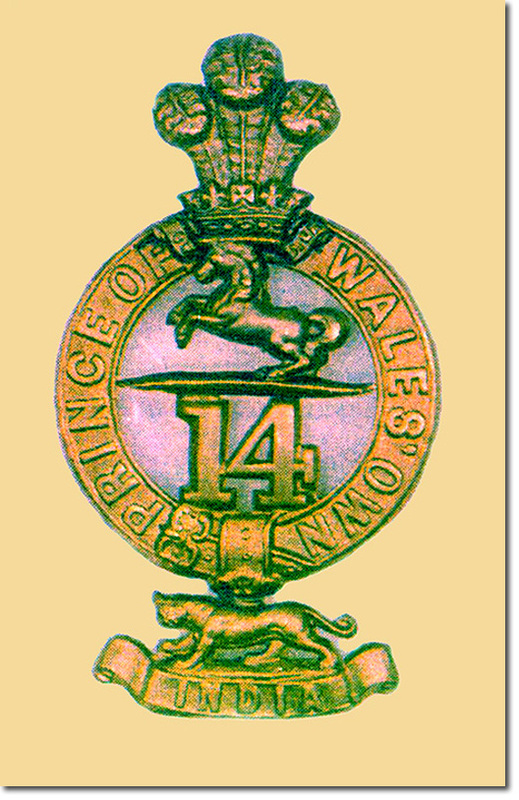 The White horse of Hanover was granted to the 14th Foot in 1765 although it is usually depicted as a running horse rather than the rearing horse on this badge. The Tiger was granted in 1838 to commemorate the regiment's service in India between 1813 and 1831.